For Assistance Call Customer Service at 1.800.776.8955 or email [email protected]. Note: Your textbook must be in good re-saleable condition. No water damage, torn (out) pages, or heavily written in with ink or highlighting. What is meant by "NEW" condition? I have entered an ISBN, but found no results. Can I send more than one copy of a title? I have had my book(s) for a while. Can they still be considered for "new" condition? How do I ship my books to CollegeBooksDirect.com? When I try to add books to my selling basket, it doesn't take them. Why? Will you sell / give my name, address, or email address to anyone? Why were the books I sent graded as used condition? My receiving report denotes a title was checked in as "text only", and the price I received was reduced. Why? Why will the website not complete my sell order? How do I print a collect shipping label? I have received an email with a link in it. What's this for? I have printed a return label, now what? I need 2 (or more) labels, what do I do? I have already shut my session down, can I print another label? What happened to the generic labels I used to be able to print? 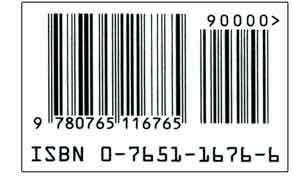 An ISBN (International Standard Book Number) is the 10 or 13-character number on the back cover of your textbook. It also appears in text form on the copyright page inside of the front cover. 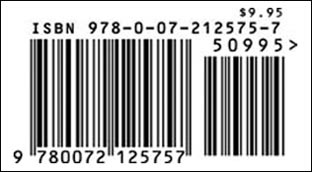 A book can have both 10 and 13-character ISBNs at the same time. The amount of time you have possessed a textbook does not effect book condition. Whether you received it yesterday or last semester. Condition is determined when the text is received in our facility. New Condition Textbooks: A new condition textbook is a textbook that is clean and pristine. A textbook identical to the quality of condition a publisher would distribute to a bookstore. It would contain no writing, no bent corners, no highlighting, no smudges, no "complimentary copy" stamp, no "free copy" stamp, or any other alternate publisher markings on or inside the textbook. In addition, time of possession has no bearing as to determination of new condition. "New" book condition is defined as a textbook that meets pristine requirements when it arrives at our facility. Used Condition Textbooks: Textbooks that are written in, highlighted, shelf worn, or have any other conditions causing the book to not be clean and pristine. Please include all accompanying disks or tapes. Complimentary Textbooks: These are considered USED condition. Textbooks that contain embossed or imprinted stamps displayed on the front or back cover , such as "Complementary Copy", "Free Copy", "Instructor's Editions", "Not for Sale", or "Annotated Instructors Edition". These type of textbooks are considered as used condition. If the book has a removable "Comp Copy" sticker on the cover, please do not remove it as damage may occur. Free Copy sampled textbooks: These are considered USED condition. Books which have "FREE COPY" imprinted inside the textbook. If you have a "Free Copy" text, it must be looked up by the "Free Copy" ISBN located on the back cover or on the copyright page of the text. Annotated Instructor's Editions: These are considered USED condition. Only those annotated listings shown with prices will be purchased. Please do not send textbooks that are annotated unless your search was positive. If you have an "Annotated" text, it must be looked up by the "Annotated" ISBN located on the back cover or on the copyright page of the text. New book condition is defined as a textbook which is received in clean, pristine condition. A textbook that is identical to the quality of condition a publisher would distribute to a bookstore. There is no writing, no bent corners, no highlighting, no smudges, no "complimentary copy" stamp, no "free copy" stamp, or any other alternative publisher markings on or inside the textbook. Copyright date, age of the book, or date you received the book has no bearing as to condition. Our comprehensive database contains over 440,000 titles. Perhaps the ISBN you entered is too recent (ex. 2006 or 2007) and hasn't had an opportunity to make it into our database. No, only one copy may be shipped. The quantity restriction is per customer, and is not per transaction. Call 1.800.776-8955 and ask for a CollegeBooksDirect.com quantity approval, or if you are unsure if you have met the quantity limit. If prior approval is not granted, and we receive more than 1 copy of a title, the customer is responsible for all return shipping charges to retrieve the textbooks back. Your shipment will be processed within 24 hours of arriving at our facility. A check will be issued and mailed to the name and address you provided in your profile and on your packing slip. If you signed up for our PayPal service, payment will be directly deposited in you account. Otherwise, the payment will be mailed to you via United States Postal Service. You may chose to have your payment sent to you 2-Day or Next Day service via UPS. Yes. Textbooks have a certain longevity in the marketplace which is determined by the publishers. However, a textbook can be on the market for one day or two years and still be considered for new condition as long as the text remains in pristine condition. For instructions, please see the "shipping instructions" page. Ship to: CollegeBooksDirect.com, c/o Texas Book Company, 8501 Technology Circle, Greenville, TX 75402. Insurance can be applied to a shipment, but only at customer's choice and expense. CollegeBooksDirect.com holds no responsibility for insurance claims. You cannot purchase additional insurance if using our collect label service. Check your browser's "cookie" settings under the preferences (or options) section. It must be set to "accept all cookies". Yes. The site now requires a user to create an account. You will receive adiministrative email regarding your shipment. You will also receive periodic promotional emails until you opt out. We will not release your email address to any other entity. No. We will not release any address information to anyone. We use this information for issuing of payments and promotions only. CollegeBooksDirect.com will grade the books as to their condition when they arrive at our facility. We have every incentive to grade the books in new condition and every measure is taken to determine the best grade allowable. Quoted prices are good for 14 days from the day the packing slip is created. This policy protects you by ensuring you receive the price expected from your quote. However, if a shipment arrives after the 14 days, we will automatically process under the most current prices available. Master database price updates occur once a month with periodic interval updates. The second most common reason book prices are reduced is due to missing ancillary materials, such as cd-roms. The first reason being the books did not arrive at our facility in new, pristine condition. We process the shipment in the condition it arrives. We make the assumption that you have matched the book and its contents against the website listing. Therefore, if a book arrives without a cd-rom, we assume it is intentional. However, if you have accidentally omitted these ancillary materials and would like to receive full credit for the book, simply notify us first, making us aware of the situation, and then send the missing materials in for credit. Total in cart MUST be $10.00 or more. For United Parcel Service (UPS) label, the sell order total must be over $30.00. This option will appear on the "Thank You" page of the sell order submission. It is required to complete a "sell order" function in order to produce and print a collect shipping label from United Parcel Service (UPS). You must log in to create and finish a sell order. I have received an email with a link in it. What is this for? This email link serves as a back up to the label you printed from the web site. Please only print the label from your email if you were not able to print from the site. If you need additional labels, please use this link to accommodate your needs. Each click of the link creates another label. Secure the printed label to the package in the normal spot you would place a label. Tape it down thoroughly. Please be sure not to obstruct any barcodes. You can take the package to any United Parcel Service (UPS) location. You can also leave it with your normal office outbound mail pickup. Please limit packages to less than 70 pounds. If you need 2 or more labels, simply click the link stating "Create Additional Label(s)", located in the pop up window that you will see after the "Thank You" page. This pop up window appears after you have created your sell order. Additionally, you can refer to an email which will be sent to the address in your profile. This email will contain a link to create an additional label if NEEDED. Please DO NOT photocopy 1 label to use on multiple boxes. There is no guarantee that the package(s) will arrive, and CollegeBooksDirect.com assumes no responsibility for lost or delayed packages. Yes, you'll have to check your email. A link to create another label is contained in the email. You will not be able to retrieve the label from the web site, unless you recreate the entire sell order. What happened to the generic labels I used to print? The generic labels are still there. They are under the link on the Thank You page, "Print Mailing Labels". There is no collect condition to these labels. You will have to pay the freight costs and inform us of the charges. Standard ground freight only.